Alptug Tokeser joined LALIVE in 2013. He practices mainly international arbitration, both investment and commercial in a wide range of industry sectors. Prior to joining LALIVE, Alptug Tokeser worked as an associate in Turkey with Herguner Bilgen Ozeke (2011). He also interned with LALIVE (2012). 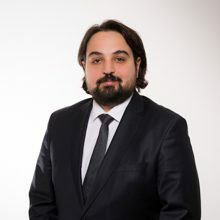 Alptug Tokeser holds a Master in International Dispute Settlement from the University of Geneva and the Graduate Institute of International and Development Studies (2011-2012) and first obtained his Bachelor of Law degree at the Istanbul Bilgi University (2004-2009).